Was Christ the Second Adam, or was Adam the First Christ? In His image – His likeness – we look like Him – He must look like us. So God is, was, and always has been a being who exists in the realm of Time, just as we find ourselves. For some pantheist, God was not completely consciousness of Himself in His beginnings. Therefore He/Her/It created beings, or creatures (by chance or happy accident) who would eventually evolve an awareness of themselves as separate entities, and they would come to realize two facts: their own mortality, and this realization – they didn’t create Reality themselves. Adam was the first human being to evolve conscious awareness. As a panentheist, I could propose that God used a little bitty part of Himself to create a reality that was separate from Himself. Again, this could have been a happy accident, or a wonderful fault. A godly “Woops!” A bang, what have you. Perhaps, He doubted His own existence. Why? He had no way to prove it. Turmoil-Chaos-Bang! Now God, conscious of Himself in this case, realized what He had done, and gained a positive reaction. Good came into being as a concept. His first creation was Good – in His Mind and thoughts, and from His image. to whom be glory forever! Amen. I certainly think Christ superimposes….it was a little hazy in Eden’s Garden! We soon found out that unripe fruit goes straight through! Human consciousness seems to expand exponentially in all possible ways and an interpreted *Big Bang* proceeds? Redemption seems to be well underway. We crawled on our bellies in a sinuous way, tempting Eve within reptilian brain reaction. Damn it, that part of our histories was almost a wipe-out but we survived, the spiritual echo of which proving fearfully overwhelming. But it is Life’s eternal nature, God’s Nature that we are here to realise and that brings us to Resurrection……what a super imposition….thank Christ, now we know…let’s Go, with God…. make straight the Way. 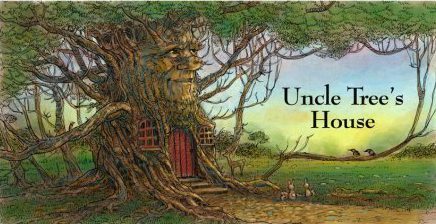 Very interesting uncle Tree. I agreed with pretty much everything except the subtitle I noted. God bless. I am looking forward to reading more thought provoking posts in the future. Let us have a relatively quick look at what the Bible has to say about the connection between Adam and Jesus Christ. Universal laws were in force long before Moses and long before Adam. This must be the case as there is no sin without Law – Romans 5:13. For until the law sin was in the world: but sin is not imputed when there is no law. From John 1:1- 3, it is revealed that it was the Word (Logos) who actually did the creating (with a little help), not the Father. The Word was, and is, a God in His own right. If we take a rather mundane worldly example, we could perhaps compare the creative efforts of Henry Ford, who was known for creating the first commercially produced motor car. Although He was given credit for his creative abilities it was not he personally who physically made the product, although he was at the planning stage right from the beginning. 1 Corinth.15:45 And so it is written, The first man Adam was made a living soul; the last Adam [was made] a quickening spirit. v.47 The first man [is] of the earth, earthy: the second man [is] the Lord from heaven. This whole chapter is well worth a study. Here we have just one of the many principles of duality that are revealed in the Bible. v.44 It is sown a natural body; it is raised a spiritual body. There is a natural body, and there is a spiritual body. It is made very clear to us in the Scriptures that the 1st Adam failed – As your symbol is a tree, then the symbolic importance of the trees mentioned in the biblical texts are already known to you and do not need repeating by me. It would appear that the teacher had to take on the role of the pupil in order for the next phase of God’s Plan to take effect. There must have been some (huge) risk involved – imagine if the 2nd Adam had also failed. It does appear that God did create us with a ‘little part of Himself ‘ – Genesis creation. He created angels before mankind, so perhaps we are plan B, since the angels (at least one third of them failed in their mission) sent here along with their leader not only failed in their mission but thought also to take over the very throne of God. They were ‘turned’ by their leader (probably using the same deceptive tactics and practices that are so endemic in our world) into believing that his way was the right way. Unfortunately, angels were created as spirit beings, and as such can not die. Plan B gives God an option He does not have with the angels. Do we have a bit of God in us? – John 10:34 Jesus answered them, Is it not written in your law, I said, Ye are gods? v.6 I have said, Ye [are] gods; and all of you [are] children of the most High. Is the Universe a manifestation of God’s attributes? Is God greater than the Universe? Should we be asking this question? Isah. 29:16 Surely your turning of things upside down shall be esteemed as the potter’s clay: for shall the work say of him that made it, He made me not? or shall the thing framed say of him that framed it, He had no understanding? Rom. 9:20 Nay but, O man, who art thou that repliest against God? Shall the thing formed say to him that formed [it], Why hast thou made me thus? 21. Hath not the potter power over the clay, of the same lump to make one vessel unto honour, and another unto dishonour? Thank you for that, John! I’m going to start at the top and reply. I hope to get back to you tonight. If not, don’t worry. I will. You deserve one for that most benevolent and informative comment. chose wrongly. No pass card. But erased from the Book Of Life? Self, in godly terms is plural. Father let His Word do the work. a superimposition, like Ed states. Kept her virginity, no less. Jesus was born! Human body – The Word, His Spirit. Totally!!! we can call Jesus the second Adam. I could be wrong. Yes! 🙂 If something comes to you, Ianus, be sure to let us know. Ty! It’s all good! We actually care ’round here! Stay tuned now! Dear Noel, it’s fine to disagree and dearly hold your own truths. to the Throne in Revelations? Where did he go when he died? Or, do Adam and Christ have the same Divine 1st begotten spirit? certain cases? We know Adam learned thus, but did Eve? My mom’s name is Evelyn. Ahem…and Eve’s spirit is where? the Gabriel genetic super anomaly effective spermatozoa? we won’t be super enough to impose our will on Maya – Reality. Resurrection superpositions has me stumbling. I hope He SEES me. I am overjoyed by your article and the great responses. This is precisely what, I think, bogging and the internet are great at spawning; free exchanging of ideas. This is great! Thank you for your thorough approach to most of my questions! made in the likeness of God because he had wings. Or do we? There was no law in the beginning, therefore chaos abounded. manifested, that the Universal physical laws came into effect. nanoseconds. This begs the question of an infinite Universe. boundaries beyond which we know nothing whatsoever? I wonder what happened to Adam’s spirit, as I mentioned above. Or Eve’s for that matter. Wherever are they now? Today? after all is said and done? Do we sleep till the Second Coming? We have also left out the feminine side of this equation – Eros. and the suffering that comes along with our aches and pains. Where does Eros begin in The Bible? Is it even mentioned? We are gods, eh? As long as we only humbly use a little ‘g’. Fantastic! We should have the power to heal then, I believe. how much help you’ve offered already. I hope you know that. I’ll get over there and see what you have to teach me. Uncle Tree, I hope He SUES you 😉 The super imposition is on me! We Brits also say ‘super’ when we are well pleased, but not normally with an imposition, which in above nut-case is a relative term to a primate! Yay, Jesus was ever and timelessly in God’s mind…..
its manifestations but not different from. I’m deep in the woods on this subject and may be full of it and in need one of ed’s laxatives, but it seems irrelevant to try to determine which was first, second or last if what Is was and always will be. Trying to do so imposes our concept of time and reality on the Ultimate Reality. I do agree that Creation is an ongoing process as is the expansion of consciousness. Science has shown that the universe has no center and is continually expanding equally and simultaneously from every point. Not sure how that relates to the big bang, but our consciousness seems to reflect this…..most of us are just not aware of it. it is not about learning. Maybe it’s simply about re-membering. now enlightened. Now what?” The student asks. We’re not splitting hairs, we’re splitting Adams. Here is where I am. It’s like…why am I on a need-to-know basis? Why did I take a right turn at the crossroads? Did I myself choose? kept at arm’s length, front-and-center. In my face, so to speak. And then I ran into John, obsfo, which seemed to be no accident. John is putting me to the test, and my scores are knot note worthy. For many years I denied the existence of The Dark Side. I’m getting to know my enemy, and He’s a tough one to love. true; infallible. There’s some really weird stuff in there. The kind of stuff that doesn’t happen anymore, if it ever did. Miracles? For God’s sake! This world needs one. Faith doesn’t sell. We need proofs if we wish to influence others. That’s the thing. I’m looking at preaching again. Gee whiz. I’m not quitting my job. March 28 is my 35th anniversary there! Maybe that helps you understand me a little better. Some say, ‘Let go and let God.’ Who am I to stand in His Way? Best keep on moving and being moved with all of our brothers and sisters allowing the buds to unfold. You’re right, Ed. I damn myself aplenty. And do my best to take it easy on others. It is a question that has puzzled the minds of many down through the ages, and still maintains the same ‘spirit’ of enquiry among the commentators on your site. I had a quick read of the blog of one of your commentator’s – Christopher’s – he is also more than a little interested in this question. Does the Bible have the answer? I often have the feeling that we are only told as much as we need to know. We are no doubt created ‘a little lower than the angels’ for good reason? Although the Bible is our reference book, its contents are a very condensed version of events from the time God re-created the surface of the earth in Gen.1:2. We have talked about that before so will not labour the point now. I call the Bible a reference book, because that is exactly what it is. I doubt that it was meant to be read as a normal novel from beginning to end. It may well be an interesting historical read, but the end result will give little new knowledge to the reader. Many answers are given ‘here a little and there a little’. Seek and ye shall find in other words. However, after saying that the answer to this question is more than a little elusive. Was it the spiritual (human) that was created in Gen.1 and the carnal (mortal) human that was created in Gen.2. These two were then combined when the ‘breath of life’ was blown into the nostrils and man BECAME a living soul – he was not given a soul, he is a soul – ‘nephesh’ – all living breathing life forms are living souls. However, only mankind would appear to have a human spirit. Were mankind and all the other creations that were to be placed on the earth, that are named in Gen.1, actually placed on the earth at that time? In Gen.2:5 it is revealed – ‘And every plant of the field before it was in the earth, and every herb of the field before it grew: for the LORD God had not caused it to rain upon the earth, and [there was] not a man to till the ground’. How long was the period of time between Gen.2:5 and Gen.2:6? If we, and all the other named creations were not initially created on this planet – then where? that refers to the visible heavens – physical universe. The being who is referred to in this verse is of course Lucifer, who is actually planning to topple his Creator from His (God’s) throne – wherever that may be – clearly Lucifer knew. This being would appear to be aiming for an actual physical place in the Universe. the Hebrew word ‘tsaphown’ is derived from the root word ‘tsaphan’, meaning to hide, treasure, treasure or store up, SECRET PLACES. That is a purely speculative approach on my part and only used to perhaps open up other trains of thought. Although the Throne of God may be located in the sides of the North it does not necessarily mean that the life forms created to live on this planet were created there. Wow, am I way out on a very weak limb of your tree? This must be a good example of thinking outside of the box or what. Eccl.3:21 Who knoweth the spirit of man that goeth upward, and the spirit of the beast that goeth downward to the earth? However, we appear to go back to the original form on physical death, leaving the old (hopefully) mortal coil behind. We could discuss a lot more on this topic, but I do not want to damage the thread of your original posting. with an ending you don’t want to miss. Your comment up there made me think of Star Trek’s Genesis Project. Plus, I used to listen to a local radio show every Saturday morning called “Exploring Unexplained Phenomena”, which specialized in UFO sightings and experiences, but also got into ghost stories, psychic activities, and other such anomalies. That the earth was seeded by beings from another planet is an old, old story which has repeatedly been told, and argued about, all throughout our relatively short history as conscious beings living on a watery planet in the heavens. And we have never known for sure which way is up. From what I’ve heard and read, Sirius is most famous for producing these otherworldly beings. 3 old men in white robes with long grey beards have appeared to folks the whole world over. Who knows, eh? There are plenty of proofs out there, and here, on Planet Earth, to make one pause, stop and wonder, wtf? We could be nothing other than a high-tech experiment of some way-way older intelligent life forms. But, gee! We now know how damn unique we are, and how perfectly setup and super-fine tuned this thing is that we call Life. Should we expect our ‘parents’ to show up some day and set things aright? If that’s how it all came ‘down’, then yes. We should expect it…again. It’s already happened, perhaps. Would we know? Is The Bible ‘s Revelations where we got all these stories in the first place? Probably not, but it’s popularity, for sure, has kept it alive and thriving in many secret, and more not-so-secret places. Much is kept hidden from us by the powers that be. Going public would certainly upset the equilibrium that keeps the haves having, and the have-knots not halving what the gods would have us to share. Believe it, or knot. I’ll give to you my thanks for all the time and effort you expended in producing the above mentioned comment. Cheeerz to you, dude! At peace with the stone, and ready to rock, I am! I am well aware of the many crazy theories that abound in the ether, and it was not my intention to add another one to them. The quoted verse came to mind after I started writing and it was perhaps a subconscious (what is that?) thought that the spiritual is not always easily translated into the physical – but that is what we mortals often attempt to do, and just as often come up with the wrong answer perhaps. Then again we can listen to the spirits – but which ones – all, or just those that happen to give revelations that concur with the deviousness of our own human spirit? The ether is filled with those looking for answers and also with those who appear more than willing to supply those answers – Confusion in other words. We should not, perhaps, be so quick to entertain ourselves with the vanity of our own writings. Use of language shows this spirit very clearly. James 3:8 But the tongue can no man tame; [it is] an unruly evil, full of deadly poison. Eccl.1:13 And I gave my heart to seek and search out by wisdom concerning all [things] that are done under heaven: this sore travail hath God given to the sons of man to be exercised therewith. 14 I have seen all the works that are done under the sun; and, behold, all [is] vanity and vexation of spirit. 15 [That which is] crooked cannot be made straight: and that which is wanting cannot be numbered. 17 For in much wisdom [is] much grief: and he that increaseth knowledge increaseth sorrow. James 3:13 Who [is] a wise man and endued with knowledge among you? let him shew out of a good conversation his works with meekness of wisdom.14 But if ye have bitter envying and strife in your hearts, glory not, and lie not against the truth.15 This wisdom descendeth not from above, but [is] earthly, sensual, devilish.16 For where envying and strife [is], there [is] confusion and every evil work. Perhaps we should all (include myself here) re-think what it is we are attempting to accomplish in our writings? My intentions for writing have changed over the course of the last 10 years or so. I started with notebook and pen, and then, about 6 years ago, I bought our first computer. Behind the curve there, huh? For the most part, and from the start, I have maintained the inclination to leave something valuable behind for the sake of my children, and for the love of my children’s children’s children. All vanity? It’s not like we invented our attributes, and it’s not like we can evolve new ones by trying. The one evolutionary fact that doesn’t at all seem far-fetched to me is this: Individual human beings do not evolve, species do. We are asked to do our best, with all our might, with whatever we endeavor to do. So that is what I attempt to do most every time I sit down here with the square purpose of sticking my crooked vain purpose into a round hole. Uncle Vanitree will finish up by quoting himself. Have a good day, John! The lines of communication will remain open for God’s sake. hoping that in the process I can lighten your burden. Thank you, Ianus! Happy New Year to you, too! Instincts come to us before we achieve consciousness of ourselves. Instincts are inborn, self-awareness is of an emerging quality. Adam and Eve were not conscious of themselves at first. That’s what the author of Genesis was referring to, in my opinion. and allowed it to flower – the first of its kind. I’m only looking at things through the lens of the Bible. If we add into it such an idea as that last one of yours, then we have only the geneology to go by and then we have to consider a 10,000 year old earth. Help me here. Why does an intelligent person like yourself wish to mix science with theology? Doing so makes a mockery of both. Revealed and Rational exegesis – Thank you for defining those for me over at your site, Christopher! You may believe I only fall on the rational side of the equation, but since I know, because of my own experiences, that divine revelations occur today as well as in years past, then I can say – I believe The Bible is a mixture of both. I believe God uses divine reason sometimes, as well as He distributes divine logic to His children once in awhile. But He also has a dark side. That’s why we say, “Fear of God is the beginning of Wisdom”. That’s why we ask Him in The Lord’s Prayer, that He not lead us into temptation, nor deliver us unto the hands of evil doers. I know how and when The Bible was put together. I don’t know why they left out particular books from the same age pertaining to the same story, but the fact is – they did. Men decided, as a large group (a congress), so I’m sure there was no general consensus, even though there may have been a book or two voted in unanimously. If you didn’t believe in mixing science (including mathematics) with religion, you wouldn’t be using numbers like 10,000 to describe the age of the earth. That job belongs to the geologists, as the age of The Universe belongs to cosmologists. As far as spirituality goes, the age of The Universe matters not. The year of the Second Coming matters not. Only today matters to a man of the Spirit, or to a man of God. Right? No worries in that regard. The Age Of Faith is slowly coming to an end, or so it seems to me. Church-goers are dwindling in number, whilst atheists groups continue to add members. as a living myth, with a Savior for Mankind who makes History today. whether it comes from scientists, or artists, or any other vocation. The Earth is not flat, no matter how much we wish it were. John 1– Yeshua (Jesus Christ), the living Word (Will) of the Lord was before Adam, for He was in the beginning with God. All things were made through Him and for Him, for without Him was nothing created that was made (things that are seen that were made from things that are unseen). And we know that the Lord is Spirit and without measure, ‘for does He not fill Heaven (the spirit realm) and Earth (the realm that is seen). from within (psyche) to without (objective world)? God dreamed us up before He made us in His image? Adam’s third and only begotten son, Sheth, was after Adam’s likeness and image, and was the Second Adam. He walked with his Father Adam for 800 years, and he was the dearly beloved son of his Father. Adam did judge all three of His sons offerings. Christ came in the name of Joshua/Jesus and gave himself for his offering. Guess what our Father Adam gave as His offering? How much love did he have for the world of His children? More than enough? Or more than is humanly possible? 35,000 years ago – a fearless man learned how to play with fire. Let’s call him ADAM. He says, “Fire is good!” Yah, especially after he named the dark EVE ning. The next morning he woke up with a WOODY. Yes? From my background in Psychotherapy, I have to say that I relate to these ancient myths as symbolic stories that explain our awakening from unconsciousness ~ the moment when the soul incarnated into physical form, and mankind had memory, knew yearning and loss. I wrote about it in my book: The Coming Of The Feminine Christ. Love the blog, Keith and love your thirst for answers. Love your help and your camaraderie, Niamh. I’m still digging your book – second time through. This summer has been hectic at times – many trials. I love learning – my girlfriend is psychically gifted. Reality, as is, defies definition at this point. Life is a good teacher! on that old hag’s finger. and love is f’in crazeee! I am so happy for you and Cheryl. She is a lovely soul, as are you! Oh I’ve stumbled on an old post here, but it’s fascinating! I’m too muddy-headed to give a cogent reply, sorry, but I really enjoyed finding a conversation about things one seldom comes across in RL. I’d consider myself a panentheist at this time, though I’ll never say “Ive made up my mind”, because I’m open to learning. Have you ever read The Silmarillion? This reminds me somehow of the incredible creation account at the beginning of it – since we’re talking symbols, Tolkein’s story captured the pure magic you could imagine in the creation of a world. I think what you’ve written brings that to mind because of the free (from convention) imagining of God’s mind and thinking on creating a world, which would be quite something!! Actually, I’d qualify what I said about panentheism, it sounds too vascillating. I am open to new learning, but panentheism is central to what I believe is true. Nice to meet you, Chaos Girl! 🙂 I had to Google RL, LoL. Time to read any post with more than 50 words, so Thank you for that! I’m currently studying a book named “Genesis” by Eugene Whitworth. radiation was found to be exactly as predicted (math-wise). can continue our mystical faith based on conjecture alone. and I believe we must have faith in human Science. It’s the best we have. The Word condones our words, our logic, and our reasoning, imo. I read an article on the Bang aftershocks. Yes, the way I see it, the ‘God’ science, Dawkins, Hawkings, etc have a beef with is a religious God, the super-Zeus in the sky. But I can’t help thinking that they’re arguing with/against a straw man (or god) and that ‘God’ is more like the matrix of Everything, if you want to put it like that (and I do). Like they and everyone else can’t see the wood for the trees (sorry dude) – maybe like we’re looking at God’s big toe and thinking that is God. I loved the Silmarillion genesis story – it’s not like the book is more than (very wonderful) entertainment, but you know, I think there’s a lot to be said for any work which fires wonder and imagination, because why are those not as important as science? I’d say science without wonder and imagination is dead. It’s that boring old balance argument again isn’t it! Everything in tension. And I so agree about our attempts to understand being condoned, as you put it. Why on earth would we be created with logic, reasoning etc, and then be expected to shelve those in favour of blind faith? Not logical, or fair! As a recovering conservative, I really appreciate the intellectual freedom to question and explore, and watch other people do the same. I am enjoying your blog! I was born, but I was made an athiest. In the process of time the God of all Flesh took grace and poured it out on my humpty dumpty life. (there is a poem there) When this Almighty and Compassionate God did so He had a plan for my life to get to know Him. I have been in that journey now for 30 years of my 50 year existence. As I learn more of ‘Who this God is!’ I am always amazed how much I don’t know as much as I didn’t know and how much much more I can know. Through my humpty dumpty stage I can say God’s grace, His love was poured out and is the same measure poured on my life every day moment by moment. Your thought process I like it shows a very deep imagination much like my own. I as you have gathered love to write and am trying to break into that illusive world of accomplished writer. Some of it is posted. But thanks for the like and I enjoy what I read. Love the tree! Makes me think of Tolkien’s Treebeard. Hey, Joe! You crack me up. 😉 Shell-shock, maybe. Say, I’m from Sedalia, Mo! Nice to meet you! You know, there’s a whole lot in here to discuss (like you didn’t know that, already 8^), but I’ll just make one tiny comment. You open with “In His image – His likeness – we look like Him – He must look like us.” Many people – mostly atheists – have a bone to pick with this, saying that it’s somehow hubris to say God looks like us, but that we “made” God in our own image. To which, I can only retort, if God made us…then why wouldn’t we look like him? There’s nothing inherently vain (in either sense of the word) to say God looks like us if he really does. Anthropomorphism is a big word, but the letters do spell it out. Now, tell me. If the Big Bang (Pan) had a god, how would IT appear? Poke, poke. “Psst, Eve. Is that snake talking? back in May I wrote a post on wondering where our memories came from….are we the bloodlines of the Angels that fell from Grace? my thoughts on the ever evolving Garden of Curiosity is always looking for different views one paints with words… I enjoyed yours very much….I’ll read again because I know I will see something else I missed the first time or I will think of it some other way…. Thank you for sharing your thoughts with us…. and for taking the time to read this — at least once. I don’t write “long” posts anymore. People have so little time. You might like “Genesis”, the book I mention in the above comments. We all matter in this game of “now you’re eternal, now you knot”. your supremely kind compliments, even when they’re over the top. If I made you think and ponder, then I shall no longer wander. Ya know, I do really dig The Ancient Of Days up above. 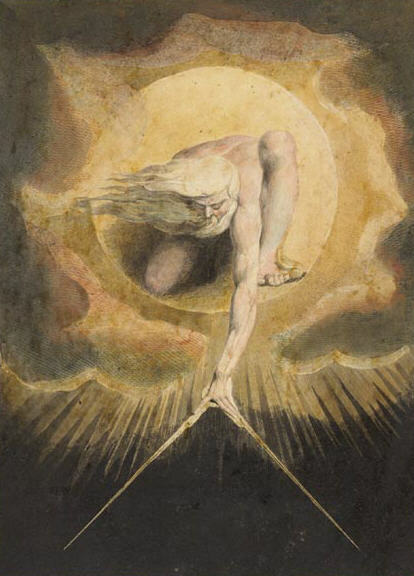 Blake was quite the artist — very multi-talented, much like yourself. I’ll take your word on the rest. Thank you!